Car dealerships need a communications system that is flexible enough to keep them running smoothly. Workers who travel across the showroom and lot and take customers on test drives must be reachable immediately, even though they are not tied to a desk. Managers need to be accessible from home for important decisions, even on off hours. When Bob King Automall needed a communications solution that met the specialized needs of their business, they turned to Star2Star. 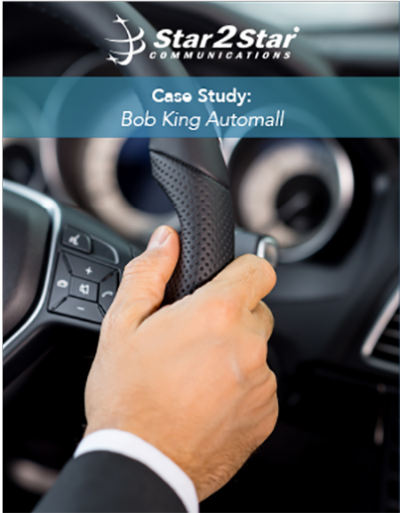 Read more to discover how Star2Star provided Bob King Automall with a powerful Scalable Cloud Communications Solution that improved the efficiency and maximized the effectiveness of Bob King’s workforce.